Juventus and Inter are reportedly both interested in Fiorentina ace Federico Chiesa and Brescia youngster Sandro Tonali, which could lead to a clash in the transfer market. Chiesa, 21, has impressed this season with 10 goals and seven assists in 26 appearances as he continues to develop his game and mature with experience. In turn, it would come as no surprise if interest is building in the Italian international, as he appears to have bright future ahead for club and country. As for Tonali, the 18-year-old has been a fundamental figure in Brescia’s bid for promotion so far this campaign as they sit top of the Serie B table, with their midfield ace scoring two goals and providing five assists in 22 appearances. With early comparisons with Andrea Pirlo due to the similarity in their style of play and positioning on the pitch, as well as the fact that they have both come through the youth ranks at Brescia, Tonali also appears to have a big future ahead. As reported by Tuttomercatoweb, both Italian starlets have now appeared on the radars of Juventus and Inter, with the Italian giants tipped to make their move in the summer. 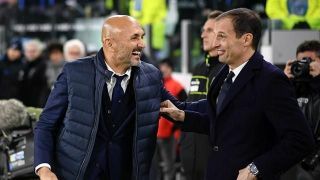 Time will tell if they are firstly capable of satisfying the demands of Fiorentina and Brescia, and if so, if they can convince the players in question to move on so early in their respective careers. What is clear though is that the pair could provide immediate reinforcements as well as long-term solutions in midfield and attack given that they still have their entire careers ahead of them.